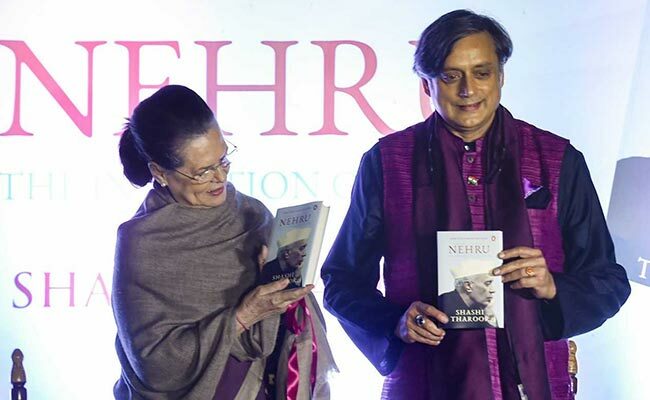 Sonia Gandhi was speaking at an event to relaunch Congress leader Shashi Tharoor's book on Jawaharlal Nehru, Nehru-The invention of India. Mr Tharoor lauded Nehru for encouraging "constructive criticism"
Congress leader Sonia Gandhi on Tuesday alleged that the Nehruvian legacy was being "undermined" by those presently in power who have "contempt" for the country's first prime minister for all that he did to build an India which they want to change for the "worse". Speaking at an event to relaunch Congress leader Shashi Tharoor's book 'Nehru: The Invention of India', the former Congress president said Jawaharlal Nehru, as India's first prime minister, "consolidated democracy and entrenched the basic values of India's polity -- values to which we are still proud to lay claim." "What are these values. Shashi Tharoor summarises them as the core pillars of Nehruvianism -- democratic institutional building, staunch pan-Indian secularism, socialist economics and foreign policy of non-alignment. These values were integral to a vision of Indianness that is fundamentally being challenged today," she said on the eve of Nehru's birth anniversary. 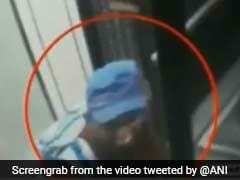 But, that vision remains at the core of "our time-tested beliefs", Mrs Gandhi said. "We all know, as Shashi Tharoor has just said, that this precious legacy is being undermined daily by those who rule us today. They express disdain and contempt for Nehru for all that he did to build the India they are bent upon changing for the worse," she added. She further said, "Today we must honour him by fighting with determination to safeguard our democracy against those who are undermining it." Mr Tharoor, in his remarks, lauded Nehru for strengthening democratic institutions and always encouraging "constructive criticism". Narrating an anecdote, Mr Tharoor said Nehru was asked by an American editor as to what he wanted his legacy to be, to which the first Indian prime minister said: "330 million people capable of governing themselves." "A number of post-colonial heroes in other ex-colonies had gone the opposite way. They started off as democratically popular heroes and headed in an authoritarian direction...Nehru ji never fell into that trap. "So if today, we have a chaiwala as prime minister, it is because Nehru ji made it possible to create the institutional structures through which any Indian can aspire to and rise to the highest office in the land," the lawmaker from Thiruvanathapuram said. On Nehru's commitment to secularism, Mrs Gandhi said he strived to prevent partition, but when it occurred, he never accepted that since Pakistan had been ostensibly created for Indian Muslims, what remained was a state for Hindus. She highlighted that over the years Congress governments have taken Nehru's idea forward and cited the examples of Panchayati Raj and the Right to Information Act. Mr Tharoor said a concerted campaign of vilification, calumny and an astonishing amount of lies was being spread on the internet against Nehru.